0.0.0.0.0.1 The Huawei Mate 9 was launched in December last year with Android Nougat out-of-the-box. 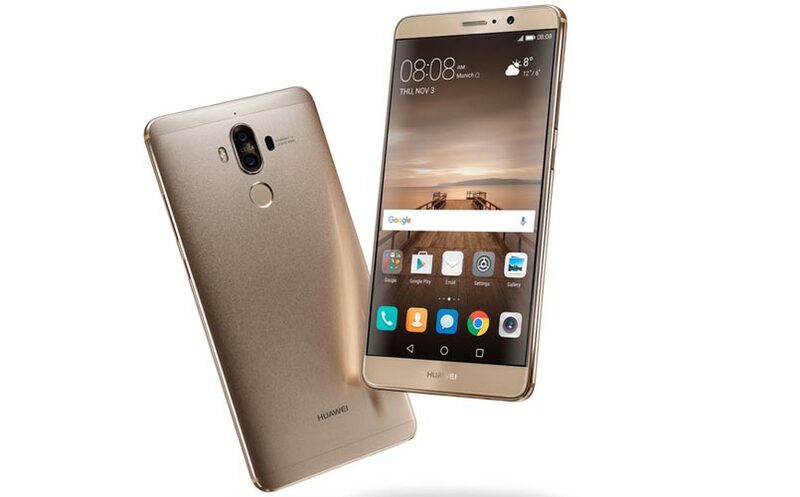 The Huawei Mate 9 was launched in December last year with Android Nougat out-of-the-box. Huawei is working on the Android Oreo software update for its Mate 9 smartphone, as per reports. Now, a Huawei Mate 9 has been spotted on Geekbench running on Android Oreo 8.0, lending some credibility to those reports. 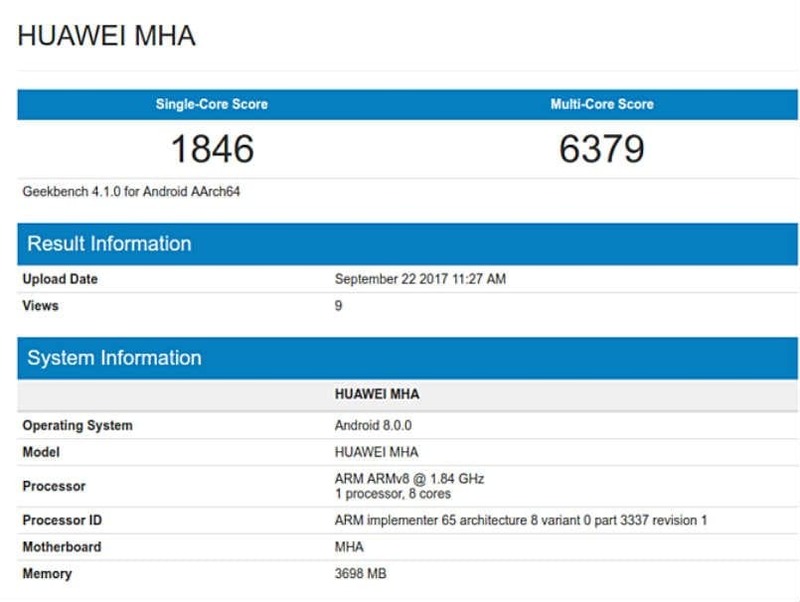 As spotted by Androidsoul, if the Geekbench listing is to be believed, Huawei might roll out the Android 8.0 Oreo update to its users in the coming months. The Mate 9, as of now, runs Android 7.0 Nougat out-of-the-box wrapped under Emotion UI 5.0. Apart from the Mate 9, the Huawei P10, Honor 8 Pro, Honor 8, Honor 8 Lite and Honor 6X are expected to get Android Oreo update. With Android Oreo, some of the features the Mate 9 smartphone will get are the Picture-in-Picture mode, Notification Dots, Android Instant Apps, Longer battery life, Notification channel, among others. One of the talking points of the Mate 9 is its camera. It comes with one 12-megapixel RGB color sensor and a 20-megapixel monochrome sensor. Co-developed by Leica, the camera comes with dual-core ISP, depth measurement ISP and professional DSP for better image focusing speeds and processing. The camera also supports 4K video recording capabilities. The Huawei Mate 9 sports a 5.9-inch full HD (1080p) display. At the heart of both smartphones runs Huawei’s homebrewed Kirin 960 octa-core SoC. Built on the 16nm FinFET process, the chipset features four Cortex A73 cores clocked at 2.4GHz and four Cortex A53 cores clocked at 1.8GHz. It is paired with 4GB of RAM and either 64GB or 128GB onboard storage options. Connectivity options on the smartphone include Wi-Fi 802.11ac, 4G LTE with VoLTE voice calling support, Bluetooth, GPS and USB Type-C port for charging and data transfer. The Mate 9 has a 4,000mAh non-removable battery.